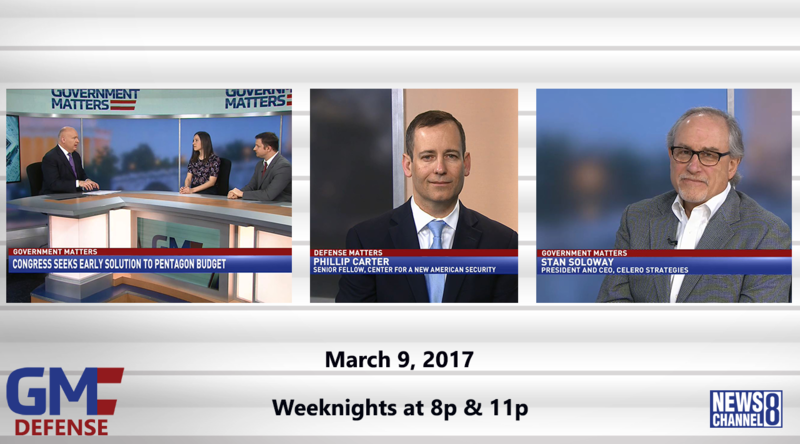 Inside Defense editor Marjorie Censer and Inside the Pentagon chief editor Tony Bertuca discussed Congress’ push for an early solution to the DoD budget. Phillip Carter, senior fellow at the Center for a New American Security, discussed the Department of Veterans Affairs’ decision to start offering mental health services to “bad paper” veterans. Celero Strategies CEO Stan Soloway discussed Defense Secretary Mattis’ call for a thorough evaluation of DoD infrastructure.